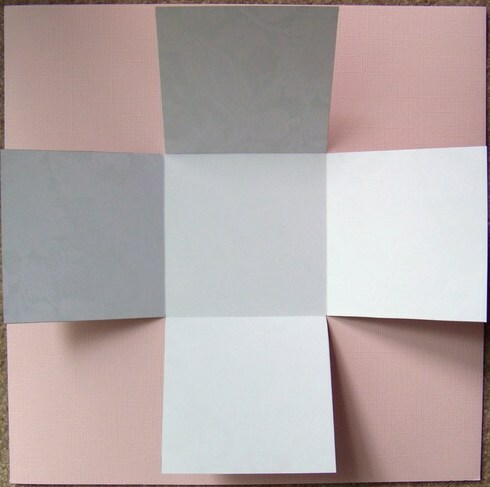 1 12”x12” piece of heavy/sturdy patterned paper OR cardstock. You want this to be strong, as it is the outside of your box. 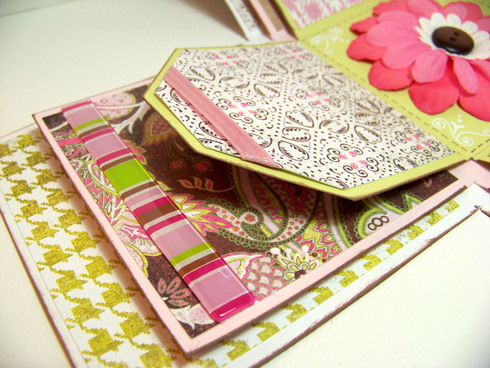 Double sided is lovely but single sided works as long as you don’t mind the inside border being white. 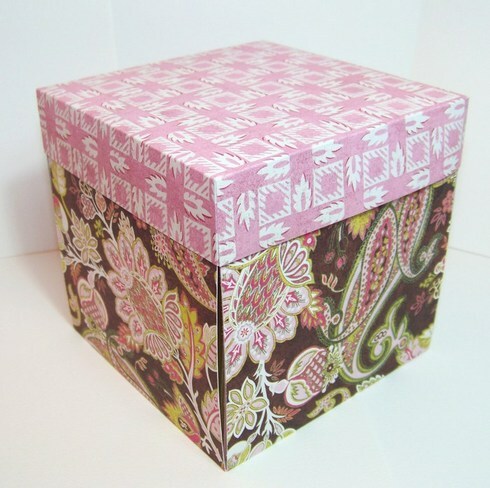 1 piece of 12” x 12” heavy patterned paper or cardstock for your cover. Again, make sure it is sturdy. 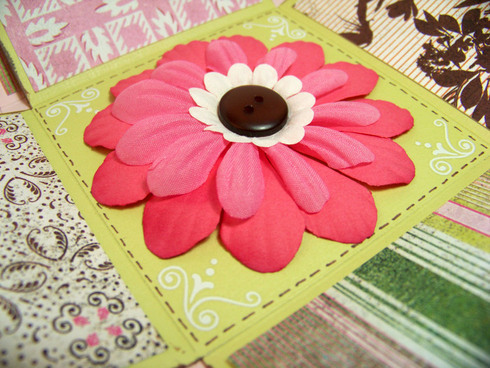 Clear your surface except for your outer layer paper, a pencil, and a ruler. 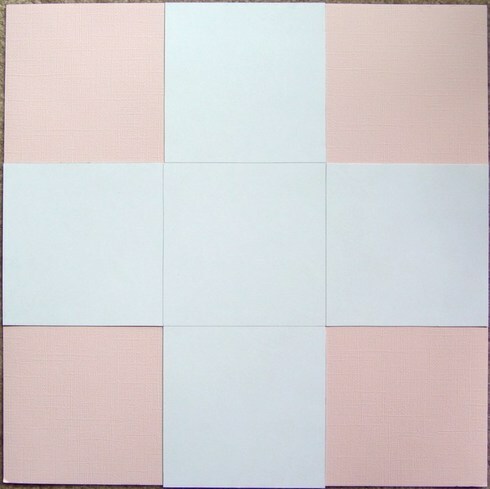 Softly mark your paper like a tic tac toe board at 4” marks. You should have two lines running horizontally and two lines running vertically. 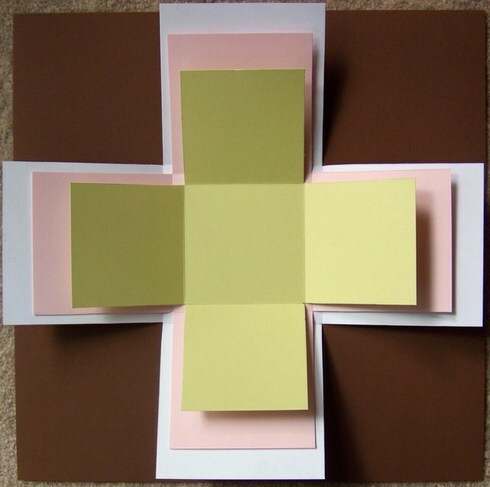 Now, using a paper trimmer or ruler and craft knife, cut out the four corners so that you are left with a cross shape. 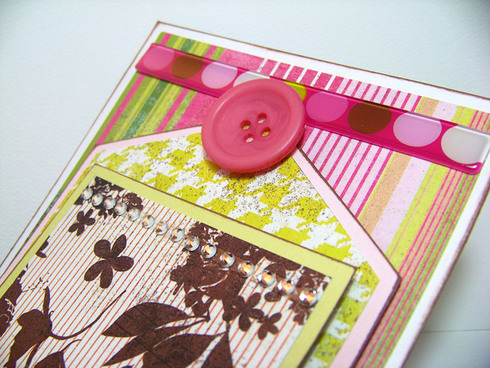 Set aside all cut pieces for later use when you’re embellishing the pages. 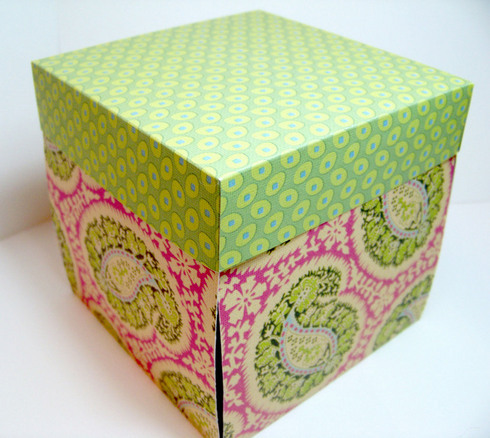 Score the four remaining lines in the center to create the walls of your box, making sure that the side with your preferred outside pattern is in fact on the outside. Gently erase the pencil lines. Set aside. 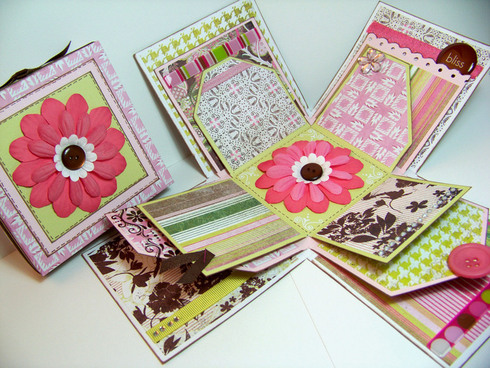 Cut your middle layer paper down to 10 ½”x10½ ”. Using your ruler and pencil make your lines at 3½ ” intervals this time. You will have another tic tac toe grid, only smaller. 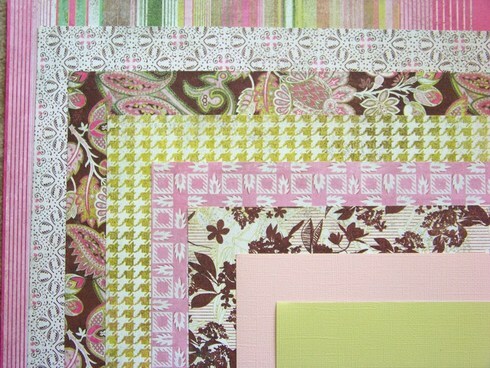 Cut out the four corners as we did for the outer layer. Score along the inner lines as we did before and set aside. 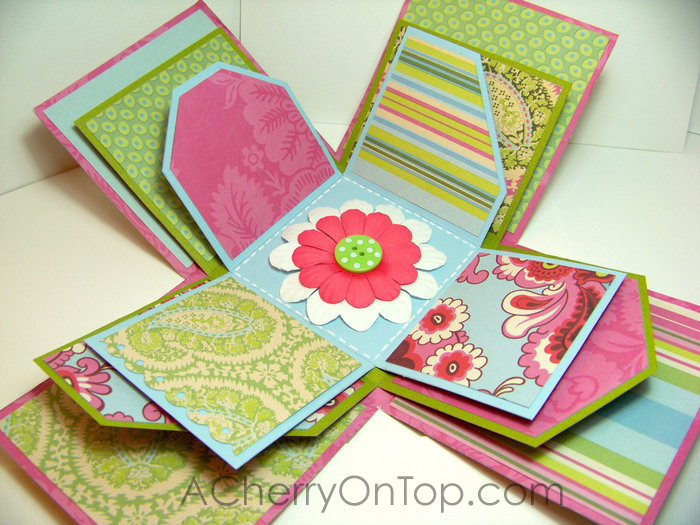 Cut your inner layer paper down to 9”x9”. 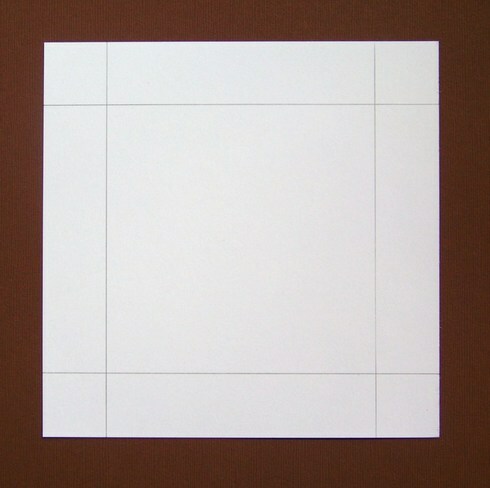 Mark lines at 3” intervals this time and cut out the corners as we have done for the previous layers. Score the inner lines and erase the pencil marks. 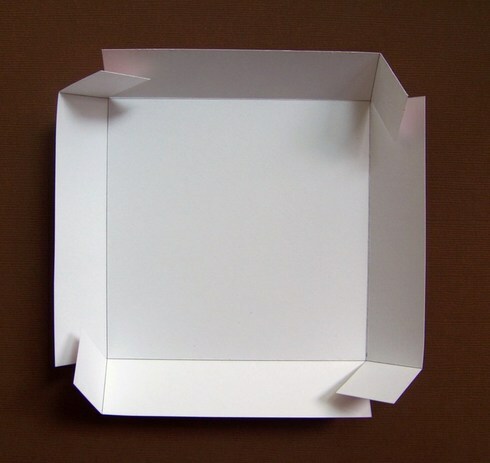 Trim your cover paper to just a smidge over 6”x6”. That “smidge” is to make sure that the cover fits correctly over the walls of the box and I usually figure it to be 1/16th of an inch. Even going to the 1/8th mark makes it a little too loose so just go a tiny bit over the 6” mark on your trimmer. After trimming use your ruler and pencil to mark a 1” border around all four sides on the inside side of the paper. 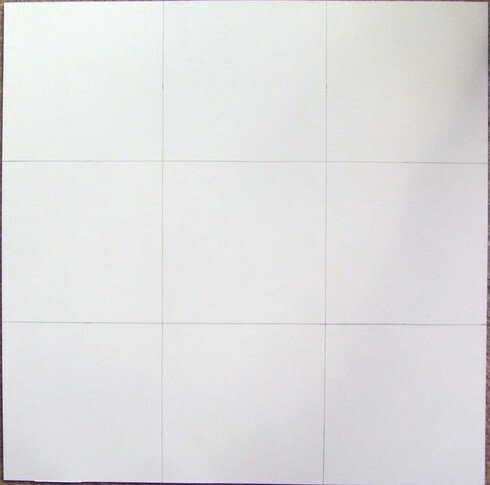 Start at the lower right corner and cut up to the intersection. Do NOT cut the horizontal line. 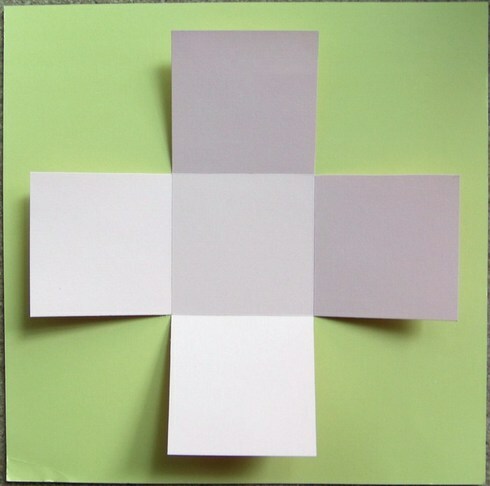 Rotate the paper 90 degrees and again cut up to the intersection on the vertical line. Rotate another 90 degrees and cut the third cut. Rotate one more time and make the last cut. Score along all remaining lines. The sky is the limit for your embellishing. If you are planning on inking or cutting your edges it may be easier to do that before you adhere your three layers together in the center. When you are covering each side of the pages try to keep in mind if you would like some solid, lighter pages for journaling and try to vary the patterns in an eye-pleasing way. I cut my papers ¼” less on the sides than the measurement of the page (for instance if an outer page is 4x4 I cut my paper to 33/4 x 33/4) but again this is entirely up to you. Really, just have fun with it! 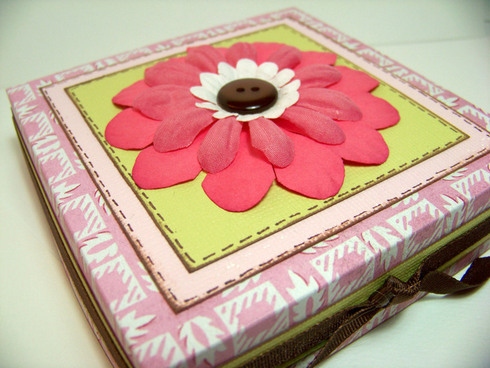 You can also embellish the center square (I like big flowers there!) and the inside of the cover, and of course the outside of the box as well. 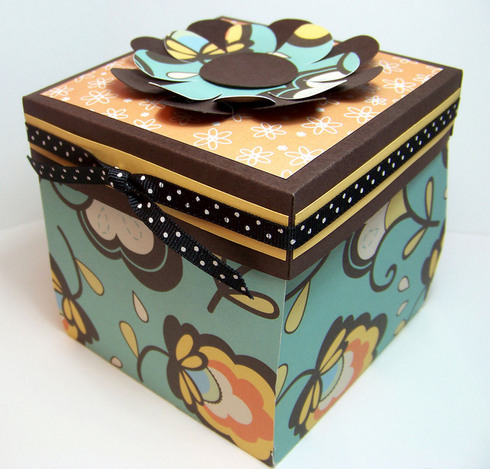 And here are another couple of examples of boxes (not necessarily complete) for inspiration! Thank you SO MUCH for the awesome tutorial! 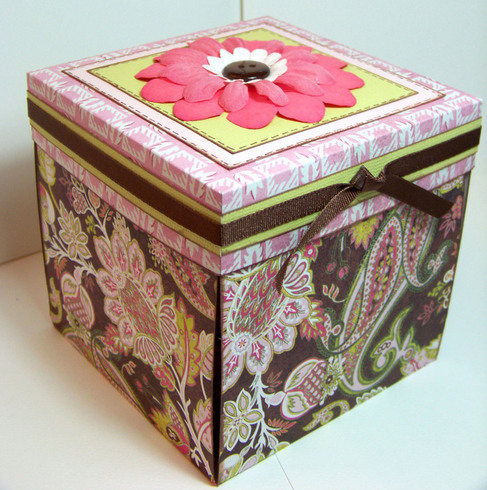 I made three of these for my girlfriends who accompanied me to the Great American Scrapbook Convention in Chantilly, VA. They LOVED them! I can do this!!! Thanks for the "english" description!! I love this! They were going to do this at a nearby shop and I couldn't make it so this was perfect to learn it online! I am so happy! Good tutorial. I use "red tape" to secure the three layers for extra strength. A Mighty Fine Color Wheel Reveal! 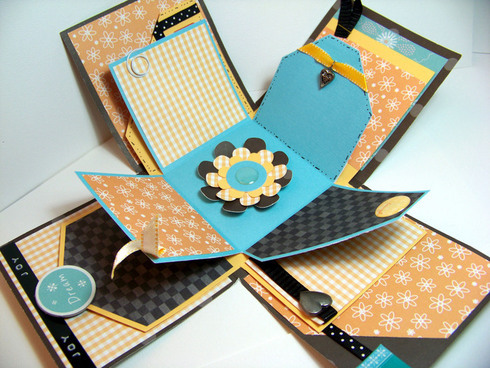 Make a Mini Album in Minutes! What's Black and White and (Insert Color Here) All Over?